Maybe you meant to make a charitable donation in 2018, but for some reason you just didn't have the time to write a check or make a call. For 2019 and beyond, all you need to do is tell Google Assistant that you want to make a donation. According to 9to5Google, all you need to say is "Hey (or O.K.) Google, donate to charity." The virtual personal assistant will then ask you for the name of the organization that you want to make a donation to, and will suggest a $10 contribution. That figure can be changed depending on what you want to give, and not all organizations are compatible with this system. 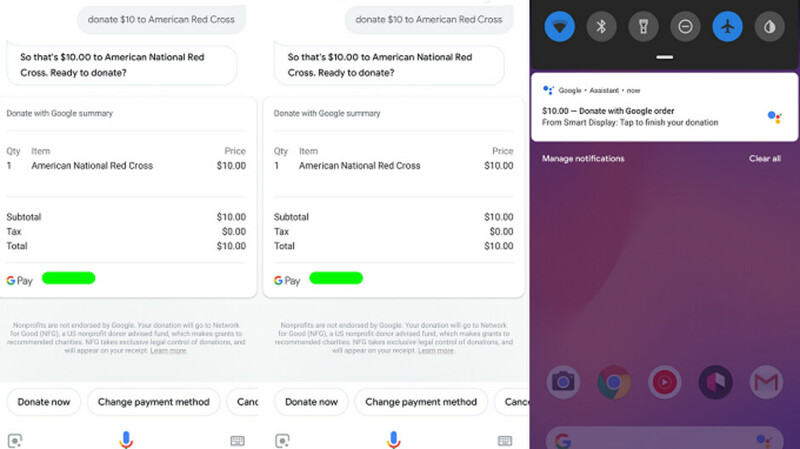 To make a charitable donation through Google Assistant, you must enable Google Assistant Payments. To add a credit card or debit card, open up Google Assistant, tap the compass icon and clock on the three dot overflow menu in the upper right corner. Open the settings and in the Personal Info tab, tap on Payments. While Google Home smart speakers and the Google Home Hub can start the process, both require that you confirm the donation on your handset. Google apparently wants you in a giving mood. Last month, it announced that donations to several organizations can be made through the Google Play Store. You can contribute to such organizations as the American Red Cross, U.S. Doctors Without Borders, Girls Who Code, World Wildlife Fund U.S., UNICEF, International Rescue Committee, Room to Read, Save the Children, and charity: water. Remember, your donation could be tax deductible for those in the U.S. Consult your accountant. Strong majority of Android users won't even drop a couple bucks on an app they need, much less make a charitable donation. Google just flexing that assistant muscle. Ok Google, please donate all my ads on all websites to charities.